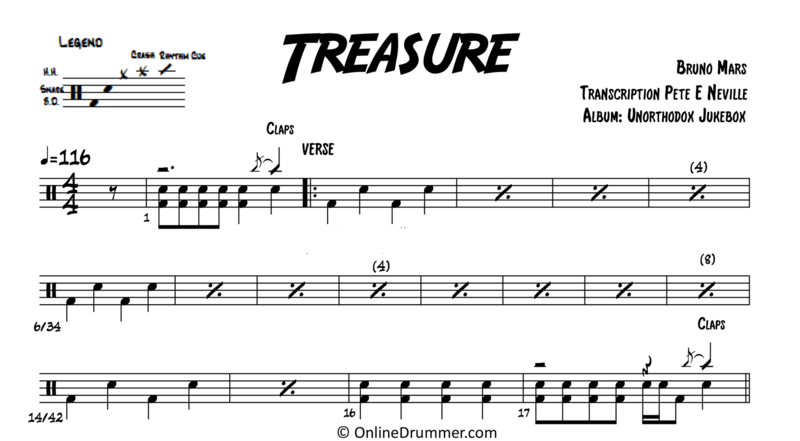 The full drum sheet music for “Treasure” by Bruno Mars from the album Unorthodox Jukebox (2013). 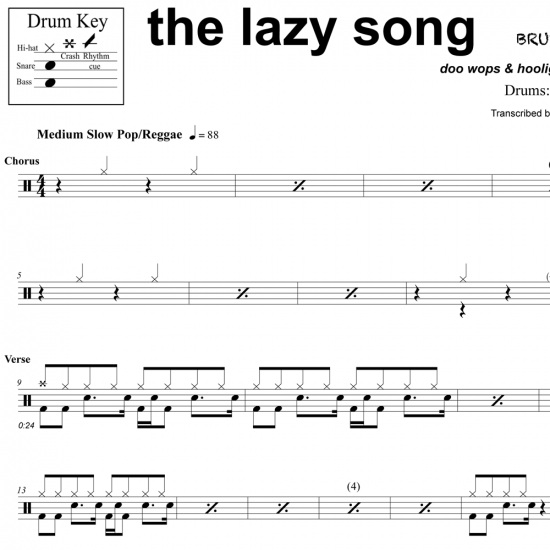 The full drum sheet music for "The Lazy Song" by Bruno Mars from the album Doo-Wops & Hooligans (2011). 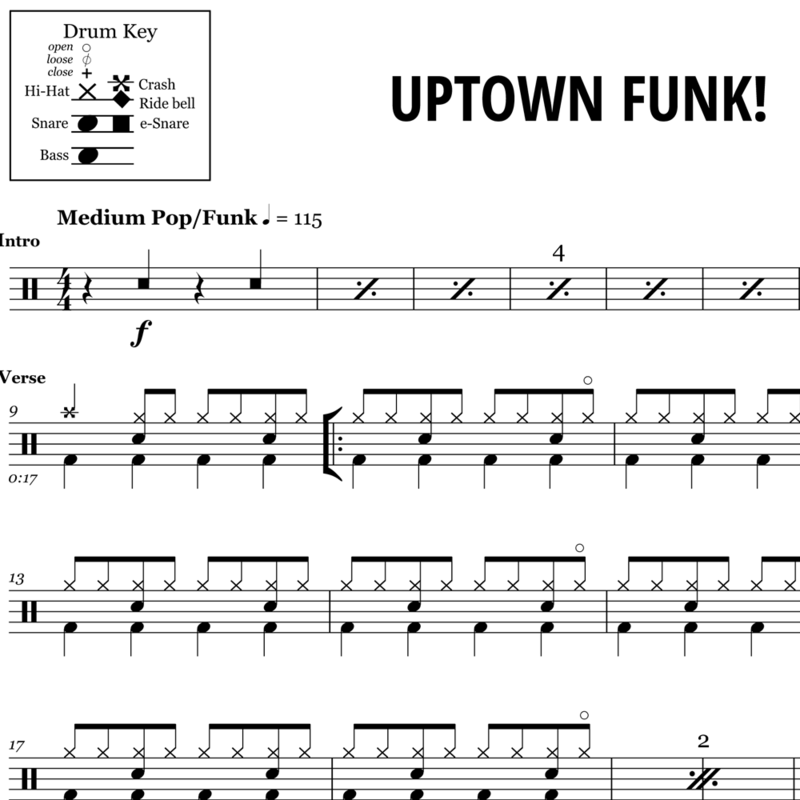 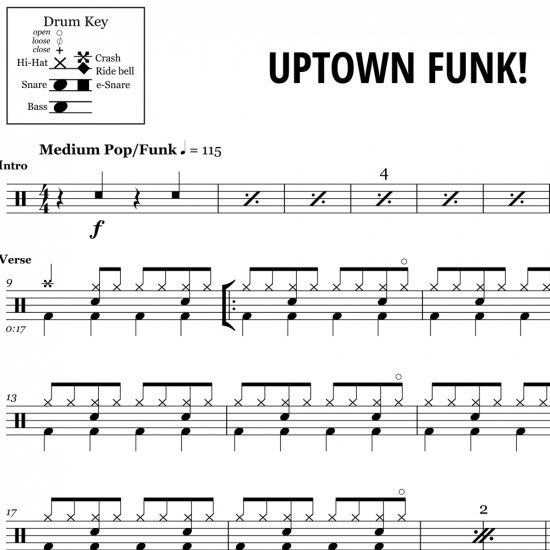 The full drum sheet music for "Uptown Funk" by Bruno Mars from the album Uptown Special (2014).